Rolling shades on this Blue Ash back porch increase privacy and provide relief from the hot afternoon sun. A section of the long patio behind this Madeira home is covered to provide a cozy space protected from the sun and rain. 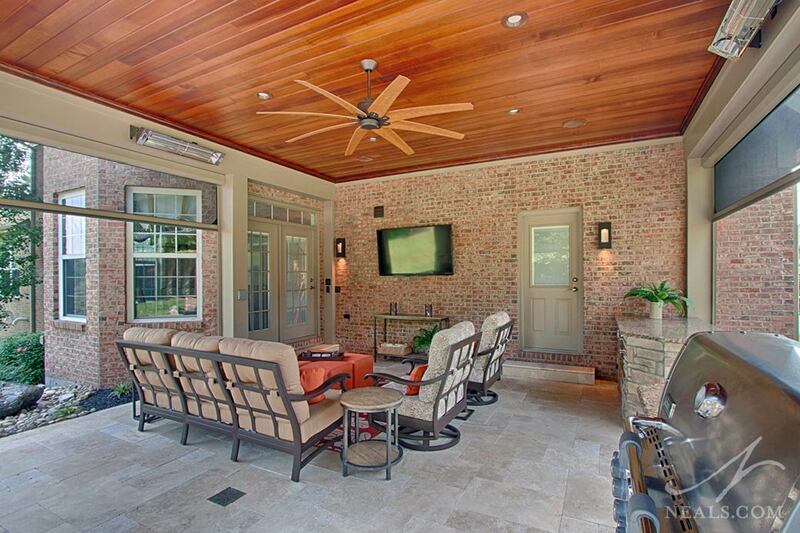 It's important to have the goal of creating an outdoor living space for the activities you actually enjoy. 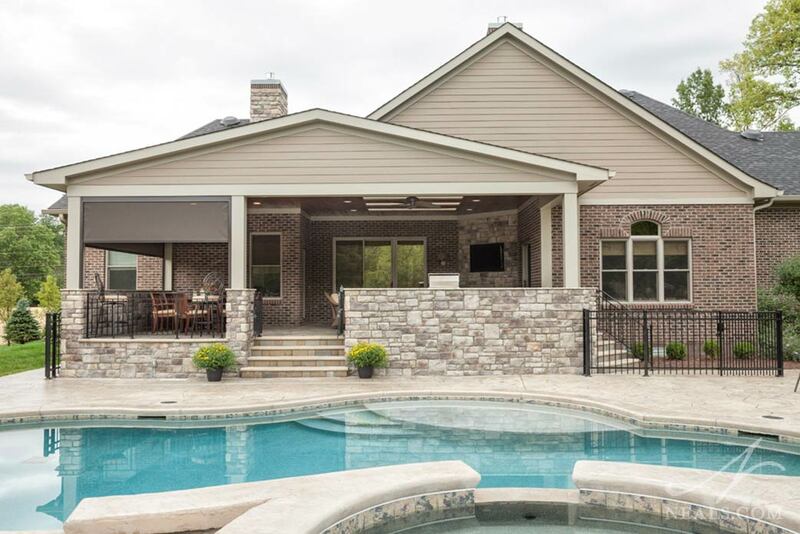 Patios are great for relaxing, a pool is ideal to cool down or get exercise, and an outdoor kitchen is perfect for entertaining. 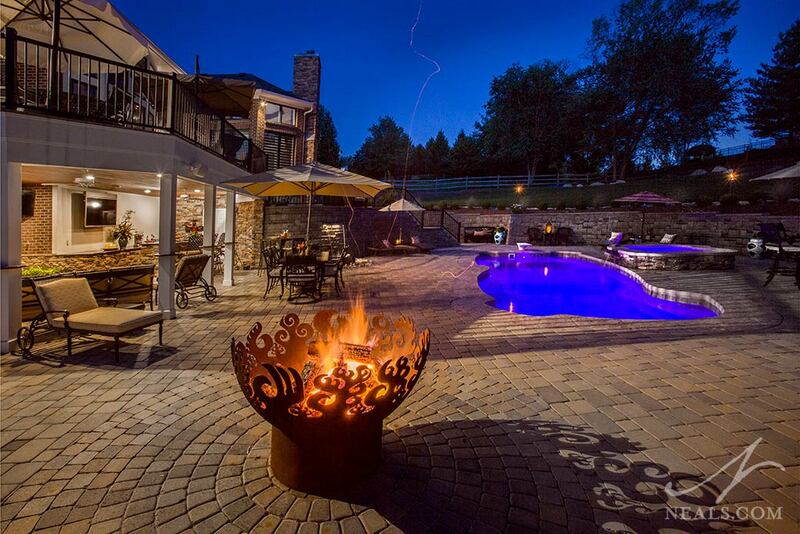 An outdoor fireplace and hot tub can be a perfect setting for a romantic evening or a place where the family can roast marshmallows and warm up the kids after a swim. Making a wish list of items you'd like to see in your yard will allow you to narrow your focus to the features that make the most sense to include. on the way to the yard. Think about how you want to spend time in your yard. Will it be primarily for your family to play and relax, or do you dream of throwing large parties and hosting outdoor dinners with friends? 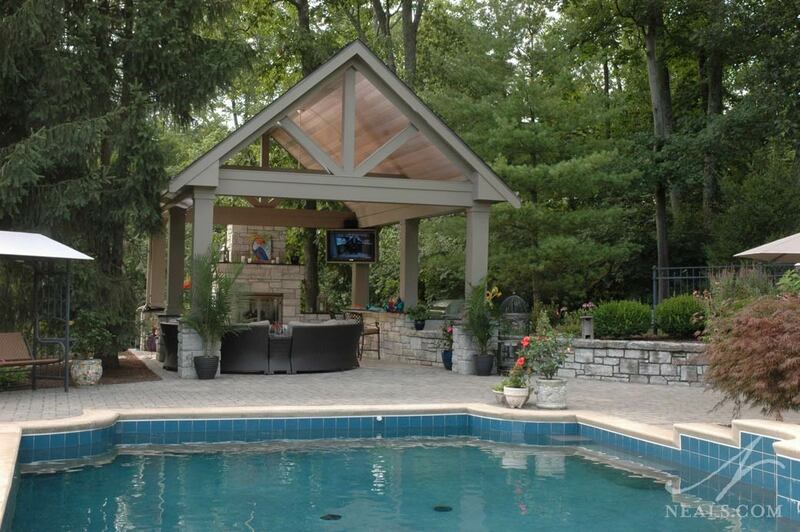 Outdoor gathering spaces can include areas for dining, seating, cooking, a bar and often even a fireplace or fire pit, and a custom patio can be designed to accommodate these functions. This Mt. Airy pavilion includes a fireplace and outdoor kitchen, and was carefully scaled to not look dwarfed by the towering trees surrounding it. Outdoor Living project in White Oak, with radiant heaters for the cooler months, and a large ceiling fan for hot summer months. When updating your outdoor living space, it’s important to maximize its utility throughout the year, particular spring through autumn. Radiant heaters are definitely worth considering since they are especially designed to direct warm air into spaces, rather than heating the air more indirectly, and are great for those cooler months. Having an exterior heat source is great for holiday parties when guests may want to get away from the interior bustle, or enjoying cool spring and autumn evenings bug-free. For the hot summer months, be sure to look at ceiling fans to help the space feel cool, and consider solutions to keep the humid summer bugs at bay, such as screens that can be raised or lowered with ease. 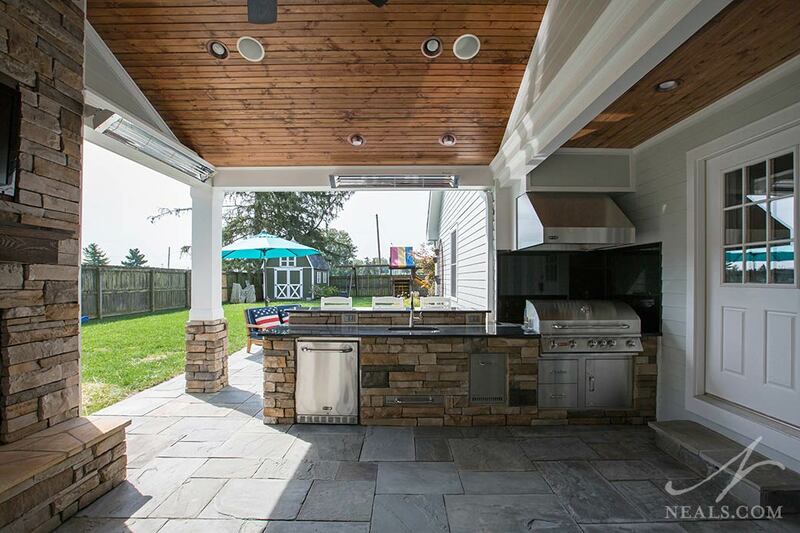 Radiant heaters mounted under the roof of this Montgomery outdoor living project will help keep the space usable nearly year-round. 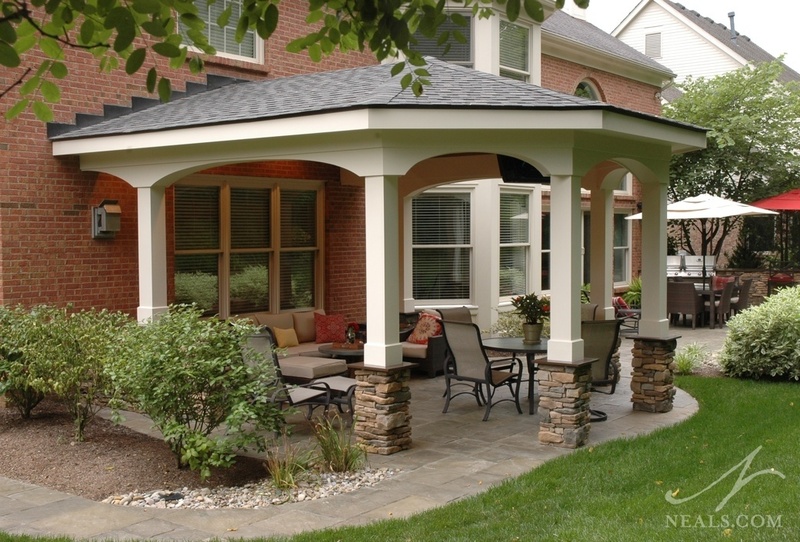 Customizing your patio design holds endless options. You can choose to have a new patio be open or sheltered by a roof, or to create a pool deck that looks natural and organic. Your outdoor design can be quirky and unpredictable or straight-forward and tailored. 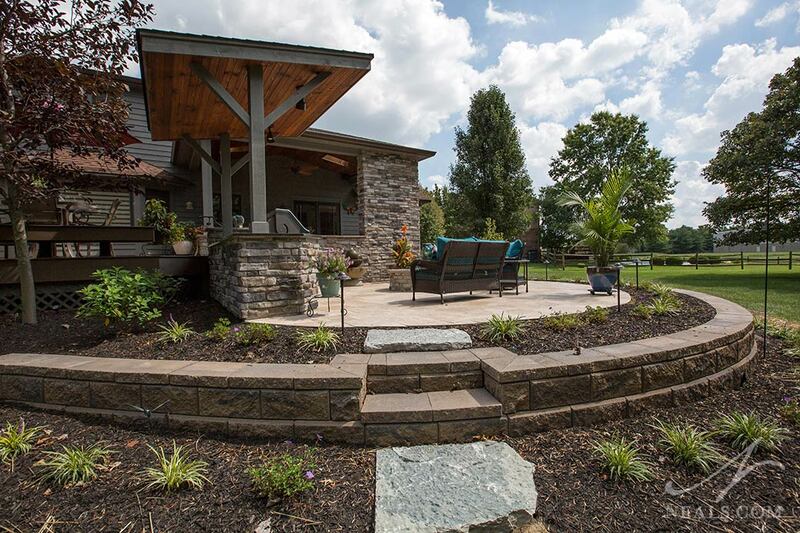 Whichever direction your outdoor living space takes, there are likely to be many opportunities to include details such as stone, lighting and beautiful new landscaping in your custom outdoor design. An outdoor design expert can help you create a space that takes full advantage of your unique yard while keeping scale, space and views at the forefront of the design. Custom details draw attention.This backyard in Bridgetown highlights the “fire zone” by arranging the paver stones in concentric circles radiating from the fire bowl.